Here I'd like to show you two different ways to transfer photos from Mac to iPhone. Transferring photos from Mac to iPhone with iTunes requires that you have your iPhone attached to your Mac using a cable. 1) In Mac, create a folder with the photos you want to transfer. 2) In iTunes, press your device name and switch to the Photos tab in the right panel. 3) Choose the folder you just created. 4) Click the Apply button to start syncing photos from your Mac to your iPhone. What if your cable is not available? Or you never use iTunes to sync files? Or you worry about any data loss during the sync? Here is the way to transfer photos from Mac to iPhone without iTunes and cable. You just get Wireless Transfer App to help you. It lets you upload photos from Mac to iPhone wirelessly and instantly. Moreover, if you need to transfer photos and videos from iPhone to Mac, or between iPhone/iPad/iPod devices, you can still have this app help you. 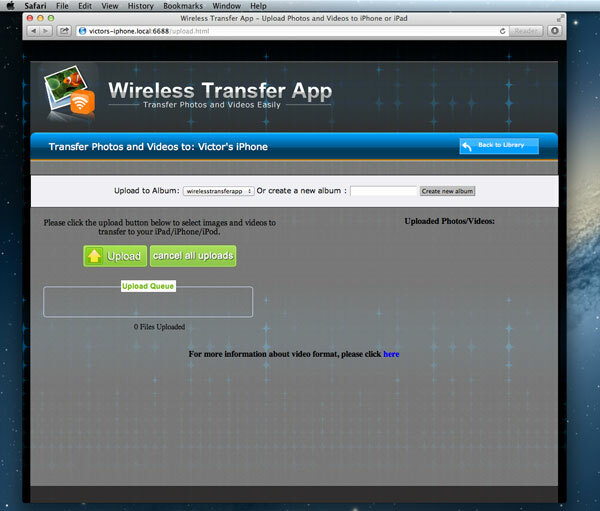 1) Download and install Wireless Transfer App to your iPhone. 2) Make sure your Mac and your iPhone are in the same Wi-Fi network. 4) Tap the Receive button in the welcome screen of the app. 5) Go to the Receive from Computer screen. 6) Open a web browser in your Mac (i.e. 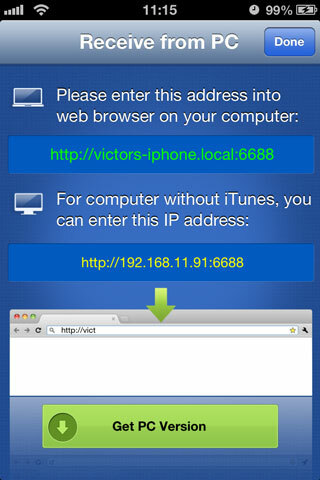 Safari, Firefox, Chrome) and type the http address as exactly shown in the Receive from PC screen. 7) Find the Upload Images and Videos button in your web browser. 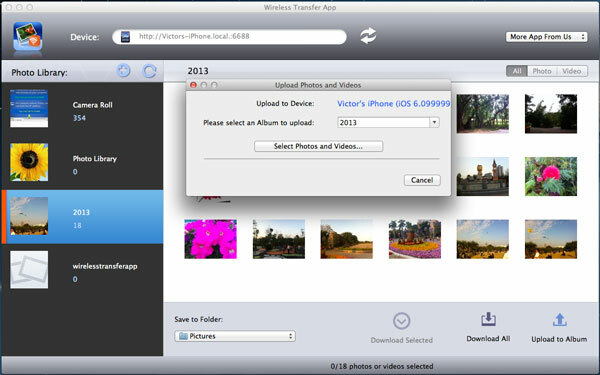 8) Browse your Mac and choose the photos you want to transfer to your iPhone. Two different ways to get photos transferred from Mac to iPhone. Which way do you prefer? With or without iTunes? You may as well tell me in the comment form below.